There are LOTS of things I love about being a BabyNatal teacher and part of The Natal Family. It truly feels really special to be invited by parents-to-be to play a part in the amazing journey they’re on. But there’s a lot more that makes it such a wonderful experience: working with the very knowledgeable and inspirational Steph and Dean, meeting and working with the other lovely BabyNatal teachers, having learnt about reflecting practice, attending the CPD days, working at the Baby Shows, travelling up and down the country with super mum-of-twins Lara, teaching the classes, meeting other professional and parents… The list goes on! But here are my top 3 most special moments since becoming a BabyNatal teacher. I was giving a private class to a lovely couple once, and when we started talking about what they needed for nappy changing, they invited me to go the room that they were getting ready for their baby, so I could have a look at their changing table and at the other things they had bought. Once we were in there, I thought it’d be great to just practice changing baby’s (i.e. my training doll) nappy in the room, seeing that that’s where they would have done it once their baby had arrived. So I did my demo, and when it came to the parents trying, it was a matter of minutes before mum started noticing how impractical the way they had temporarily arranged the furniture was. I didn’t say a word – in fact, I didn’t really have an opinion. It’s their bedroom, their furniture, their baby – they need to do what works for them, so I was very careful not to influence them in any way with my own preferences or habits. Within minutes though, mum started noticing she had nowhere to put the things she needed (spare nappy, cotton wool, bowl of water etc.). The chest of drawers was far away as well, and she had nowhere to put the clean clothes whilst changing the nappy, so she would have had to pick the baby up, get the clothes and come back with baby to get baby dressed etc. So they decided, there and then, to move things around in the room so that they could move around a lot more efficiently and comfortably. I thought that was an invaluable part of the class! Had they not decided to take the class, they would have found this out once the baby had arrived, and of course, things can be changed then as well, but it was great that they had the chance to picture themselves looking after baby in baby’s room and thought of a better way to organise it. This is what a BabyNatal Practical Baby Care class can do for you! Anyway, back to my story – a few months ago, I was at a Baby Show giving a 45 minute class on Sleep. I had several expectant couples in the room, and a mum with an 8 month old baby girl who was looking for some advice on how to get her daughter to sleep better. The Sleep class is really aimed at expectant and very new parents and therefore goes through sleep patterns for new born and gentle techniques to prepare baby for sleep etc. Of course, this is not necessarily new information to a mum with an older baby, so I asked the mum to stay behind at the end of the class to discuss any further questions she may have. At the end of the class, that lady stood up and was on her way out. When I asked her if she wanted to stay behind and talk about anything else, she said to me: “You know what? I’m just going to continue doing what I’m doing. My sister-in-law followed all sorts of sleep training advice and ended up struggling for months with her son. He now finally sleeps better, but I feel that the process was very traumatic for everyone involved, and I don’t want us to go through that at home. This class just gave me the reassurance and the confidence to do what I feel is right for me, my baby and my family, and I now understand that I don’t have to do anything differently, just because other people are doing it or pressuring me to do it. It’s about having the choice to do what’s right for us, so thank you for that”. Need I say more? THIS is what being a BabyNatal teacher is all about, and when a parent has been empowered to follow their instincts, I’ve done my job! 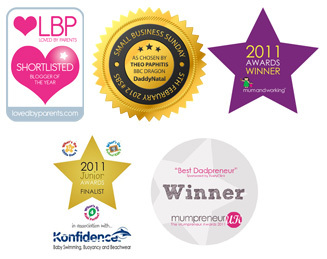 Sara is a mum of two and BabyNatal teacher for West London. Find out more about Sara and her classes, including the BabyNatal Practical Baby Care and Sleep Workshops, on our main website here. I bet it is lovely to be sent such happy news and photos of squishy babies! With an interesting job as a BabyNatal teacher I bet everyday is different from the last as well!